Facebook has recently made available a plethora of new video options for both pages and individual users to use for engaging more authentically with their friends and fans. This includes their recently released feature called Facebook Live, which allows you to connect with your fans, friends and followers by sharing real-time video of what you’re doing. Marketers especially in the higher education industry should definitely jump on this because it creates an intimate, authentic connection with your audience and most importantly it humanizes and personalizes your brand. It is important to appreciate the importance of a live video in terms of the audience engagement and post visibility, Facebook Newsfeed is not in a chronological order rather it is a personalized feed which shows what is most relevant to the user. 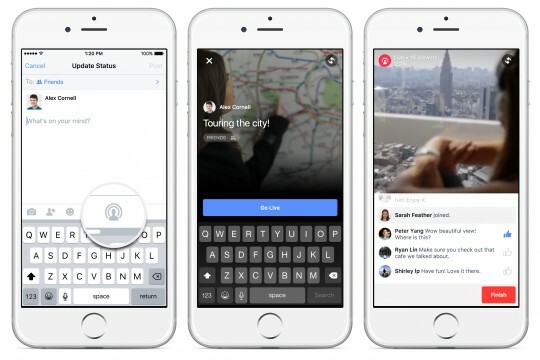 Since the release of Live, Facebook has tweaked its algorithm to show Live videos more likely higher in the News Feed. When you use Live with your page, you already have an acquired audience that is ready to watch (your fans). So when you do go live, Facebook sends out a notification to all the fans that you’re live and hence you gets great organic reach. Plan ahead what are you going to show and talk about so you don’t have awkward pauses where you’re thinking what to talk about next. Your video should be focused around a topic for e.g a one on one interview with the admissions panel going through their thought process on how they admit a student. Many institutes write a blog post about this but there is nothing more authentic in hearing from the person him/herself and that too live! Respond to your audience when appropriate, Live allows the viewers to comment while they are watching you. If they are ask relevant question it’s a great idea to acknowledge them and respond to their query. For e.g during a live interview with the admissions panel a viewer may ask “How important is my high school GPA in the process”. Answering the question right then would enrich a potential applicant’s experience with the institute even before he actually starts the admission process. Tailor broadcasts around a focused audience, Live allows you to stream your video to the participants of a particular event you created on your page or a Facebook Group that you maintain in addition to your page. This changes how you do free webinars, no need to pay for GoToMeeting now as delivering a free webinar is now extremely simple. Create a public/private event and broadcast your live video to all the people who are attending it. End with a specific purpose, With live videos it might be easier to direct your pool of audience to a specific action that you want them to take. End your video on a call to action. For e.g. if you decide to do a live video tour of the college campus it might be a good idea to ask the audience at the end of the video to visit a specific website to register for a physical tour/webinar etc. Live video streaming is a new feature and a few have jumped on to it so far, it is an incredible opportunity for higher education marketers to showcase their college in a new and authentic manner. Since Facebook loves videos and Facebook Live seems to get a much higher organic reach than other types of content (my news feed right now is 50% filled with Live video streams), it’s definitely worth getting into Live and thinking creatively on how to engage your fans.